OK, those aren’t the reindeer in the song you grew up with. But in Rovaniemi, Finland, an almost magical city in the Arctic Circle known as “the official hometown of Santa Claus,” those are the reindeer you’ll find. Janne Körkkö and his family own a farm where they train dozens of reindeer each year to pull sleighs full of giddy tourists in Santa Claus Village during their high season, which lasts from November through February. (Even the summer is mostly preparation for winter.) Working with the fur-covered, 400-pound creatures been his family’s livelihood for generations. “Santa Claus trusts us quite a lot,” Körkkö says. He’s not kidding. Janne Körkkö leading the way. A 1000-meter ride (about 0.6 miles) costs $24 for kids and $30 for adults. The hardest part about being Santa Claus is making two-year-olds smile for photographs. But after 42 years in the business, one of the most experienced Santas in the United States has it down to a science. No coat or hat – the fur makes kids cry. He doesn’t scream at kids to sit still – he crawls onto the padded floor surrounding his chair to make eye contact. Santa Sid headlines The Santa Experience at the Mall of America in Bloomington, Minnesota. It’s not your average shopping mall: Seven Yankee Stadiums could fit into the complex’s 4.2 million square feet. But then again, Santa Sid isn’t your average Santa. The license plate on his red Hyundai reads Santa S; his spare bedroom is filled with Christmas knickknacks, including a tree that stays up year-round; and kids frequent the pool in his backyard (duh, it’s Santa’s summer home). 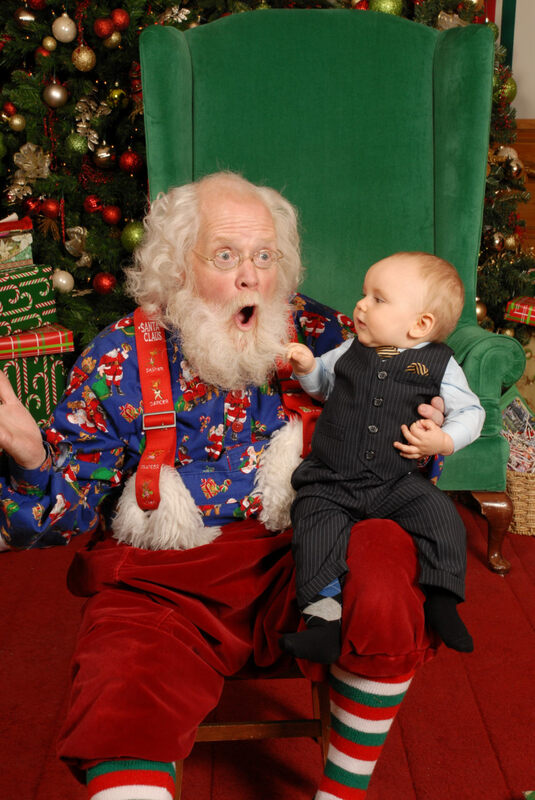 Age: Santa is 1,500 years old. But I’m 58. Graduated from: Santa Claus University, with a Master’s degree in Santa Claus. Based in: I admit to having a summer home in Eden Prairie, Minn. Otherwise, Santa lives in the North Pole. I’ll retire somewhere warmer, but I wouldn’t know how to act in a place that never snows. Years as Santa: 42. I’ve been in the Mall of America for 16 years now. Previous jobs: I’ve always been in the kid business. I lost my 3-and-a-half-year-old brother to leukemia, so I started visiting cancer patients at hospitals dressed up as Santa. 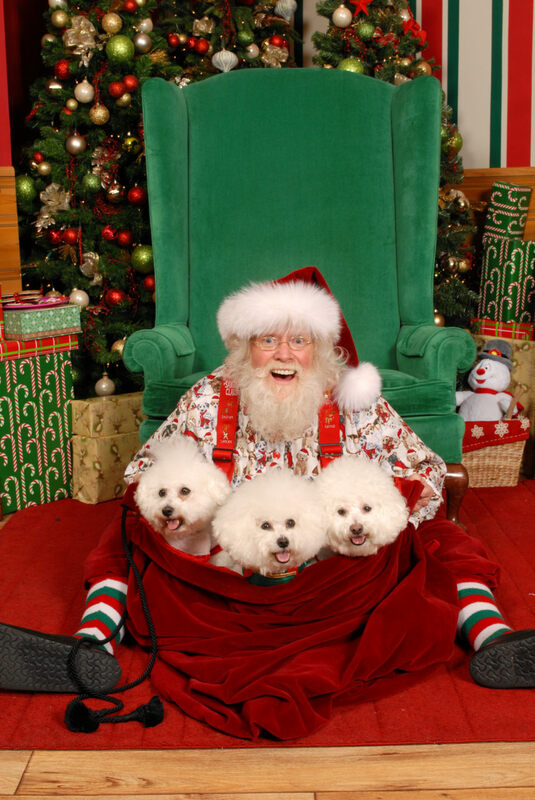 I spent two years as the Santa at a mall in Kalamazoo, Mich., before getting this job [at the Mall of America]. I read that visits are by appointment only. My line used to be three or four hours long every day. Then someone came up with the idea to put me in a private room and book appointments. This year, before even opening for the season, I had 400 appointments. By December 1, I had 5,800 appointments. Number of kids on your lap per day: I see 15,000 to 17,000 kids each season, which consists of 45 days. Walk me through a typical workday. I work from 9 a.m. to 1 p.m., take a one-hour break, work from 2 p.m. to 5 p.m., take a one-hour break, and work from 6 p.m. to 9 p.m. I sit on the floor 99.9% of the day to get on eye level with the kids; I give them high-fives to get communication going. Then I go home, eat dinner, and go to sleep. Do you use any props? I have a really cool kid rocking chair that’s all cushioned up, and I have a stool behind it. That way, kids don’t know I’m there, and we get lots of great pictures. I also have a floor built with kid padding for playing on the floor, and a stethoscope for taking photos with pregnant moms. Where do you suit up? At home, before driving to the mall at 7:30 a.m. I own 80 different shirts, so I never wear the same one twice. I wear pants, suspenders, slip-on Birkenstocks, and knitted green, white, and red socks. I don’t wear a jacket; the fur makes kids scream. But I do wear kneepads, since I’m constantly on my knees with the kids. A hat? Nope. I get my hair done at the hair salon at the mall, so I have hot rollers in my hair every day. Then I go to Starbucks [at the mall] to get my coffee. Funniest “kids say the darndest things” moment: Maybe, “I want bacon.” Kids are simple – they usually want electronics and remote-controlled toys, or dolls. Sometimes they come with lists that are three to four pages long, though. I take the lists and say, “I’ll see what I can do.” I never promise anything. Kids ask for different toys each year. 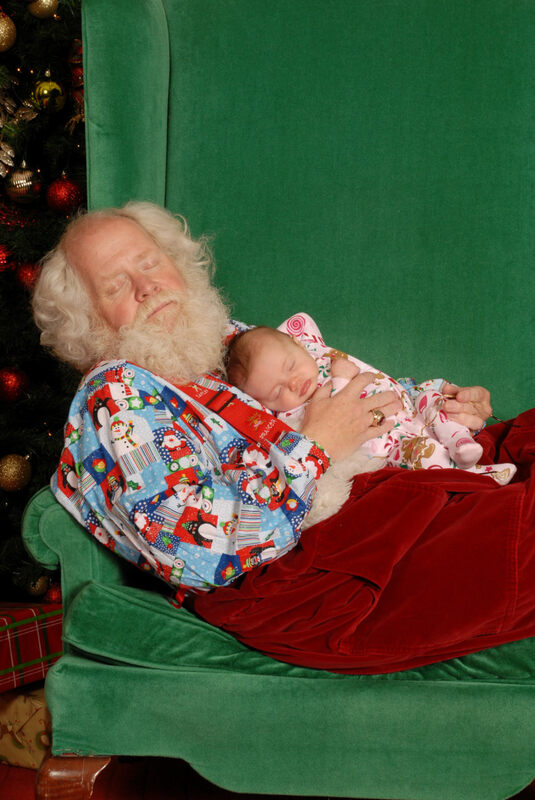 What larger shifts have you seen in gift requests throughout your years as Santa? Things have gone very digital. I hear hundreds of requests for cell phones, iPads, tablets, Nooks. Once, a 3-year-old asked me for an iPhone 5. I tell kids that I have a toy factory – I want to talk about toys. Parents give me a thumbs-up for that one. Best part of your job: I truly see the magic. I sit on the floor and look into children’s eyes – I see the sparkle, the smiles on their faces. I’m helping to be a part of that. Most challenging part of your job: Too many 2-year-olds. What would people be surprised to learn about you? I organized a Santa Club in Minnesota with 115 Santas. I help out a lot of guys. I envision you guys swapping stories about bratty kids. We have three get-togethers a year: A pool party at my house in July, for Santas and Mrs. Clauses; a Christmas kickoff in early November; and a Blues Party when it’s all over, in February, at a hotel. All the Mrs. Clauses are great at making food – your Santas are plump for a reason. At what age do you think children stop believing in Santa Claus? 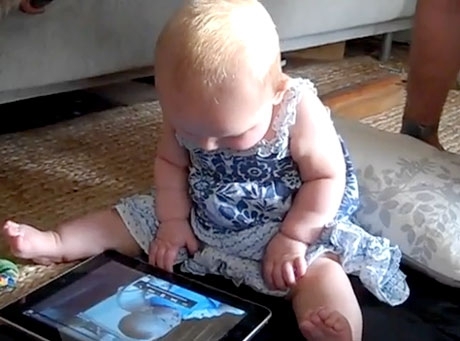 The magical age for believing starts around 3 – the 2-year-olds are more fearsome – and can go to around 10 or 11. When kids ask whether I am the real Santa, I tell them to pull on my beard and my hair. That way, I’m not really answering, but they walk away saying, he’s the one. Have kids ever recognized you as Santa during the off-season? All the time. My wife and I go out to dinner, and kids pass me notes, telling me they’ve been good or what they want for Christmas. On vacation in Mexico, kids wanted pictures. When you look like this, you live it. Any children of your own? One, and he’s 30. He’s my No. 1 elf, out of my 860 elves. I also have three dogs, named Dasher, Blitzen, and Allof. That stands for “all of” the other reindeer. Retirement plans: I’ll be doing this ‘til I’m dead. Right now, I’m working on a five-year contract. Salary for the season: Many Santas start out at around $10,000 for the season. Salaries can reach $45,000 for the season, but that’s very rare. If you could put one celebrity on your naughty list, who would it be? I don’t look at the bad in people. Even Kim Kardashian? I don’t know [the Kardashians] or watch their show. That’s their lifestyle. 1. Become a child and learn to play. People sometimes tell me, You’re silly, Santa. That’s the biggest compliment in the world. 2. Learn to answer things as quickly as you can. Once, a little girl asked me Mrs. Claus’ first name. I told her I’d have to get out the marriage certificate to check. 3. An important part of the job is clean living. It’s an honor to be Santa. I don’t drink, smoke, or eat garlic. There’s never onion on my breath. Unless otherwise specified, all photos are courtesy of Professor Bellows.